Flyer printing is one of the cheapest ways to reach your message to targeted audience quickly. Flyer printing is a longtime business practice that leaves behind all other marketing methods. There is no better way to grab your customers’ attention than with an attractive flyer headline. Flyers are also known as leaflets. They are ideal for both small and large sized business. 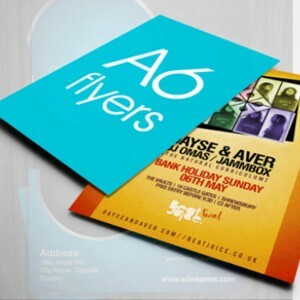 Flyers are a great platform to promote your business, products, services, offers, events, etc. You can reach your audience in many ways that include newspaper insert, street distribution, door to door distribution, in store distribution and more. It can easily fit in wallets, purses and pockets. Moreover, flyers are simple and easy to read. It grabs the attention of the reader as they skim through it. Flyers are highly cost-effective and this is one of the main advantage why businesses prefer advertising themselves through flyers. Even if you opt for printing on both the sides, you would still be spending just few coins per flyer. Sometimes the printing company may provide deals and offers. Means Cheap Flyer Printing is equal to mega saving! Unlike other types of marketing materials, flyers are easy to produce. Not much preparation or planning is required. They can be printed and launched the same day. The above mentioned benefits about flyers must have given a clear insight about what they can do for your business. Opt for the right printing company and achieve the goals you have set.